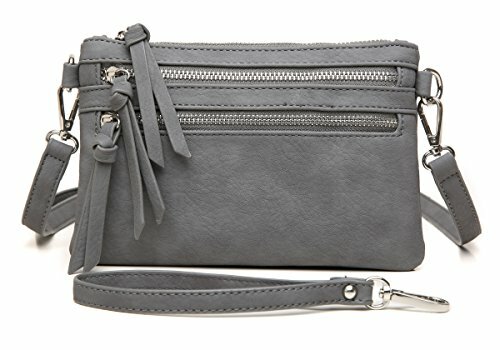 Aitbags Multi-Zipper Pocket Crossbody Handbag is made with high quality faux leather with fabric lining and metal hardware. It has a zipper closure at the top and two front zipper pockets with a tassel accents. This purse can be used as wristlet clutch or crossbody bag or shoulder bag, easily fits a wallet, cellphone, credit cards, passport, small notebook, sunglasses, keys, lipstick or other daily essentials. The purse is lightweight and comfortable, perfect for everyday use. If you have any questions about this product by Aitbags, contact us by completing and submitting the form below. If you are looking for a specif part number, please include it with your message.